Parish of Aberdour – The Fife Post………..for genealogy and historical information. ABERDOUR, a parish, in the district of Dunfermline, county of Fife; including the island of Inchcolm, and the village of Newtown; 8 miles (S. W.) from Dunfermline. This place takes its name from its situation at the mouth of the Dour. The parish, which is bounded on the south by the river Forth. The church, erected in 1790, and repaired in 1826, is a plain building. There is a place of worship for members of the Free Church. The parish name, in Gaelic, signifies ‘the mouth of the water,’ referring in this instance to a rivuulet which empties itself into the Forth, a little below the village. The number of acres may be about 5000. The parish is divided by a ridge of hills running nearly from east to west. The north part is cold and bleak and the south part is much more kindly in both soil and climate. The parish stretches along the shore of the Forth for more than two miles. Anciently the parish belonged to the monastery of Inchcolm founded about the beginning of the twelfth century. 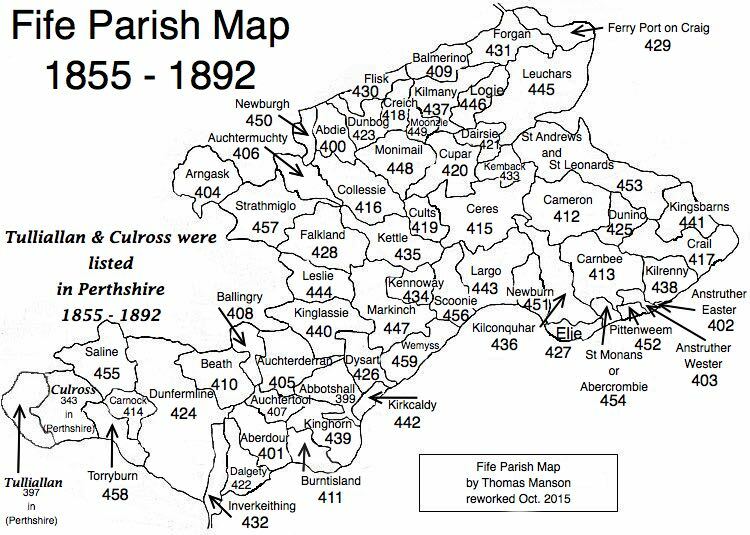 The population of the parish in 1811 was 1302, in 1821 was 1489, in 1831 was 1751, and in 1841 was 1891. There are two saw mills and an iron mill within the parish. The number od Dissenting or Seceding families within the parish is about 70. There is one Episcopalian family and one Roman Catholic family. There are four schools in the parish. The above extract is from the account written in February 1843.